BREAKING NEWS : LEGOLAND HAS MOVED FROM WINDSOR TO THE WELSH BORDER. 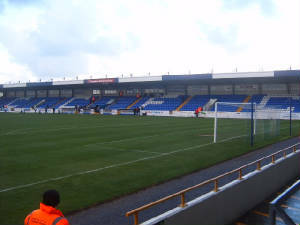 Having never visited Chester before, I was quite excited about this personally, although I was a little sceptical because of noticing Chester's ground on the TV and various football websites, the ground is very small and I thought the view wasn't going to be very good. Anyway, on our way through Chester, after passing Stoke's Brittania Stadium on the way, we all of a sudden started noticing thousands upon thousands of chavs. So welcome to Chavster, like Chester but only Chavier. 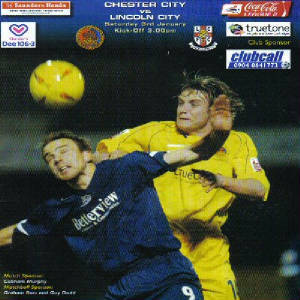 Anyway, we were still curious as to where the ground was as no-one could see any floodlights after quite a while of travelling quite far within Chester. Out of nowhere, we were there and as with Bristol Rovers and Wycombe, it was in the middle of nowhere. All that was around was the ground, nothing else for hundreds of metres except the Welsh border half way down the stadium. The away end was quite small although slightly bigger terrace than I had anticipated but it still didn't produce an awe-inspiring view of the action. The opposite stand was pretty much exactly the same. 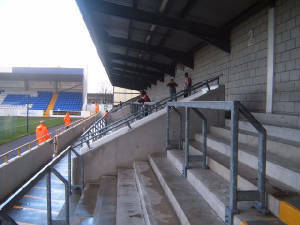 The stand to the left was a small seated stand which was half City fans and half Chester fans, this stand was quite sparce but looked as though it would produce a decent enough view of the action. 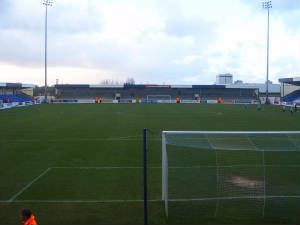 The final stand was a reasonably sized seated stand in similar size to the stand at Kidderminster. The quality wasn't too good though and it looked really tacky. The game was dead and the atmosphere from the Chester fans was as silent as the minute silence before the game for the Tsunami disaster. They were making as little noise as was possible. The only signs of life from that stand was when City scored in the last minute of added on time when City scored and you could see half the occupants of the ground just evacuated the premises. 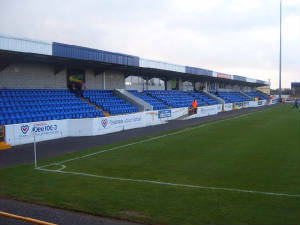 I hope I don't have to come to this ground again as there is very little to do in or around the ground, the atmosphere is terrible and you could probably build a perfect replica of the ground out of Lego.